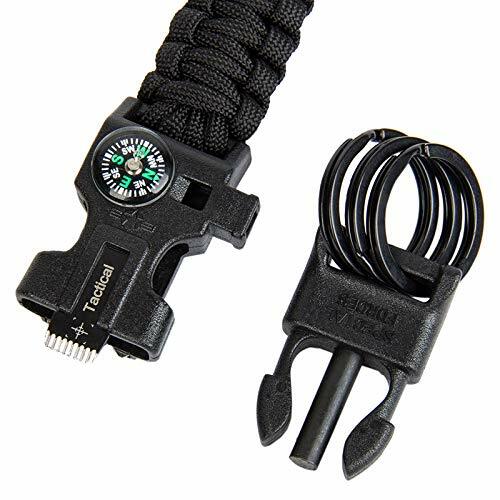 ESSENTIAL EQUIPMENT FOR OUTDOORS:8-IN-1 Whistle,Scraper EDC Buckle,Knife,Carabiner Clip and etc.These tools make yourself prepared for emergency situations in the wildness. 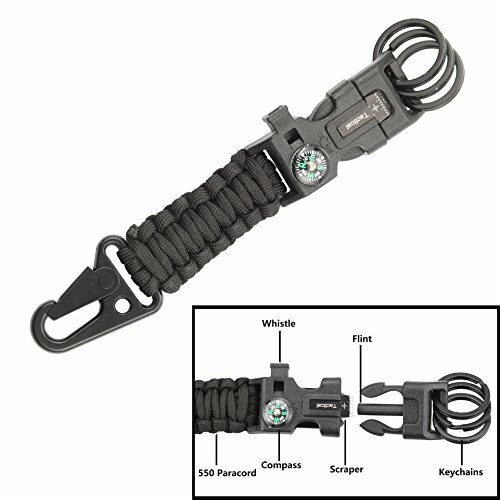 550lb PARACORD FOR EMERGENCY:The breaking strength of paracord is up to 550lb(250kg) and keychain lanyard has approximately 2 feet disassembled length.You could get a strong rope at any emergency situation with our paracord keychain. 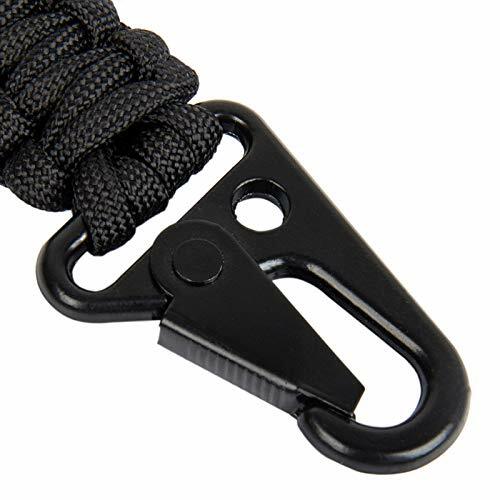 PORTABLE AND LIGHTWEIGHT:It could be hanging on belts and backpacks.This paracord keychain lanyard is only 50g, very light, shape for outdoors and daily carrying and use. BEST GIFTS FOR OUTDOOR PEOPLE:Stylish looking and practical tools make it an ideal survival gear gift for father's day, girls and boys scout, men or women's adventure, lover's outdoor dating. HLHRainbow‘s WARRANTY: This product is covered by HLHRainbow's ONE YEAR Warranty.Contact us if you have any problem. This is amazing is you have a lot of kwys. We are able to place all of our storage keys on it. It is made of excellent quality. This is so durable and a great way to organize all your keys. It’s not too bulky either so it is easy to carry. My husband absolutely love this! Very well made! I really like this Paracord keychain. It feels sturdy and like it is built to last and handle a little wear and tear. The Flint and scraper that is part of the buckle is a double added plus to it!